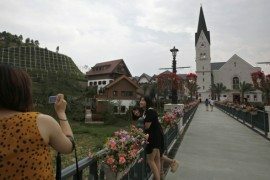 Austria is not a country that really ‘shouts out’ to travelers on the European tourist map. 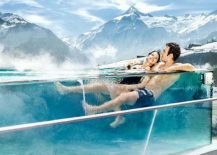 Most of us tend to think about destinations like France or Switzerland before we contemplate a holiday in other regions of Europe. 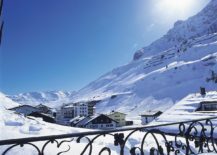 But what it lacks in size and hype, Austria makes up in sheer vertical reach as its amazing Alps and stunning ski slopes transport you into a world of white wonder. 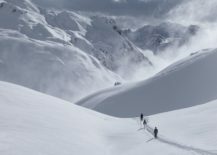 Winter us undoubtedly the best time to visit the country if you wish to experience its true grandeur, unexplored charm and snow-clad landscape at its pristine best. 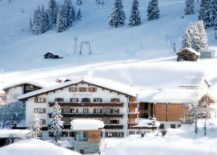 In our winter-centric roundup of the best luxury hotels and spas in Austria, we take a trip around some of the most renowned Alpine towns and villages and delve into their untouched beauty and sheer raw magnificence. 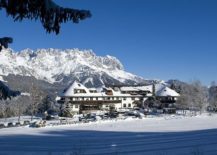 It is time to step towards the fables landscape of Tyrolean Alps and enjoy Austria at its luxurious and yet, untamed best! 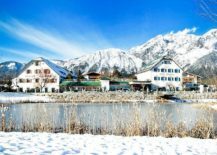 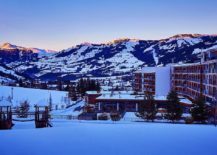 Nestled in a region that is renowned more for its summer tourism, the Alpenresort Schwarz in Mieming is equally enchanting as the cover of white spreads over it. 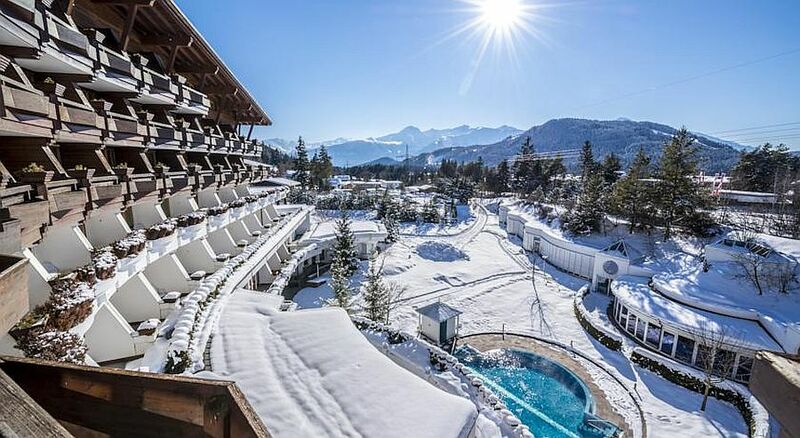 The magical setting of this luxury getaway next to mountains, meadows and lakes is complete with a world-class spa, amazing facilities that will sweep you off your feet and a series of 10 indoor and outdoor pools that leave you refreshed even during the chill of January. 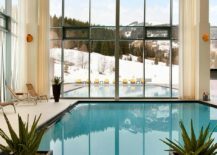 Are you searching for an Alpine experience that washes away all your woes and leaves you refreshed at the end of your Austrian adventure? 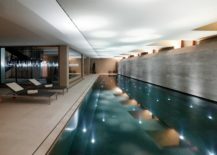 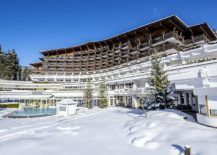 Enter the expansive and uber-lavish Interalpen-Hotel Tyrol in Seefeld with its unique 5,300 m² spa area that is among one of the best and largets on the planet. 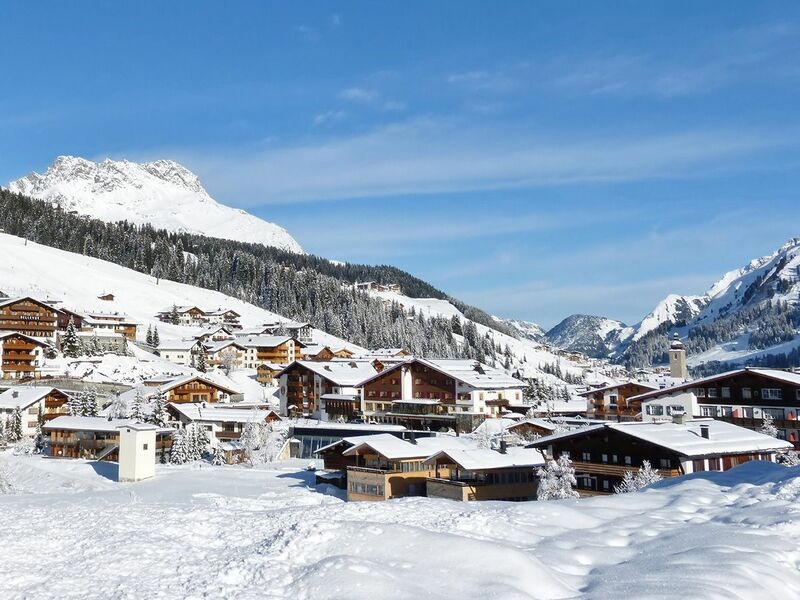 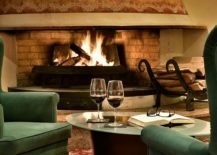 That is in addition to the secluded serenity of this Austrian village, the luxury of the hotel and its cozy suites and of course an access to the best ski slopes in the region. 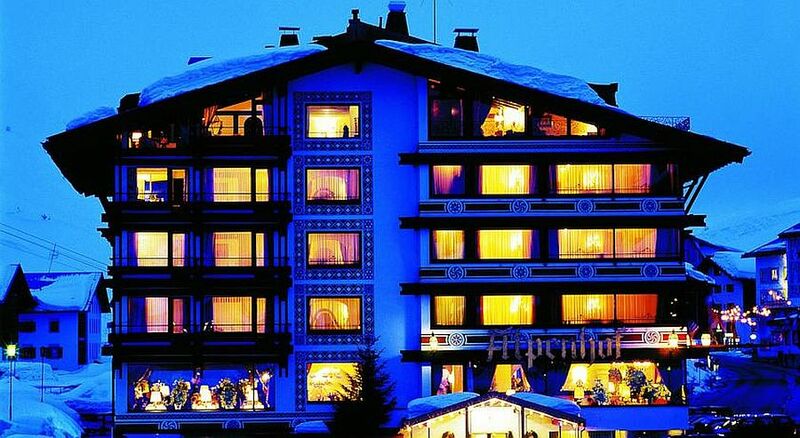 This is a winter holiday that is truly unforgettable! 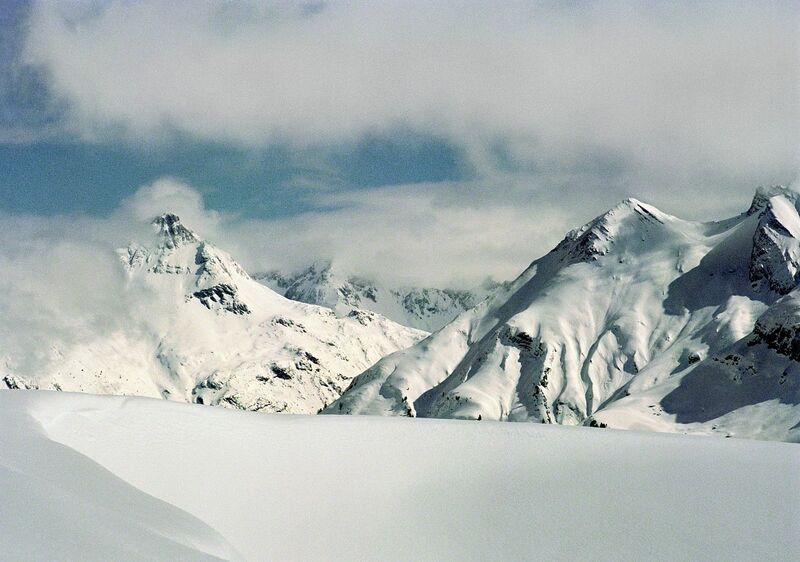 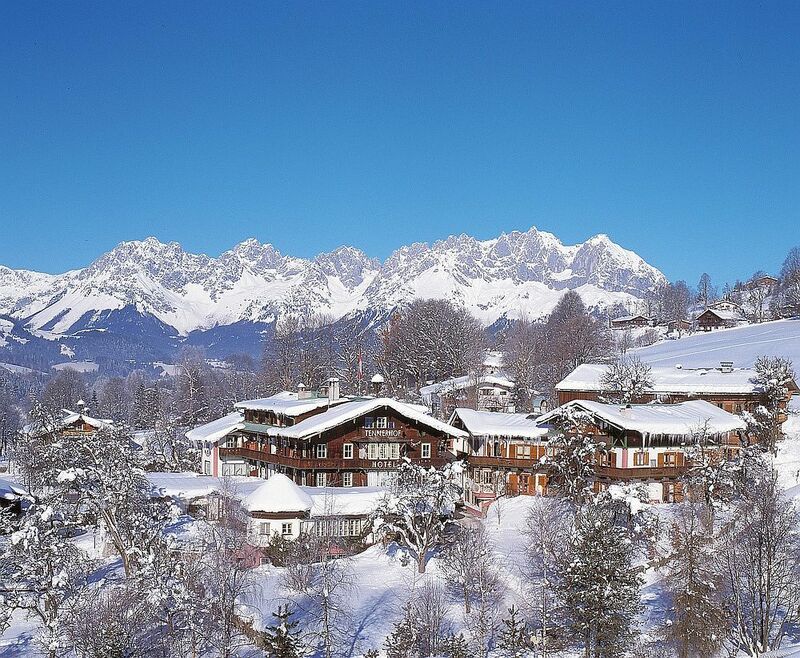 Think of a winter holiday in Austria and the name of Kitzbuehel inevitably pops up almost instantly. 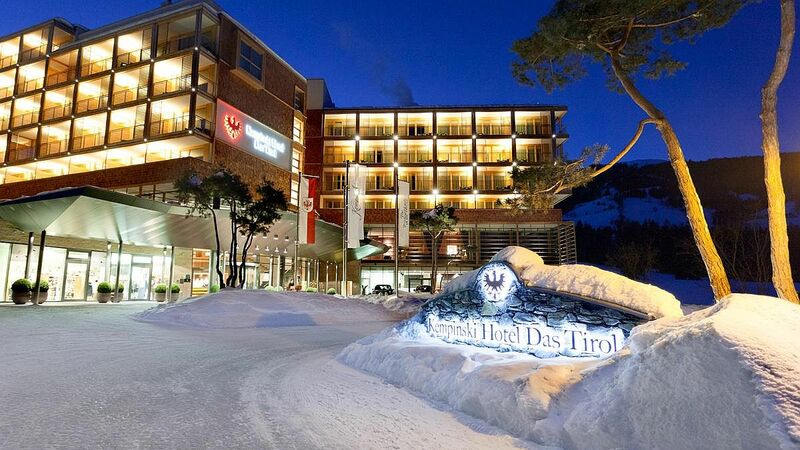 Just a few minutes away from this iconic getaway is the Kempinski Hotel Das Tirol. 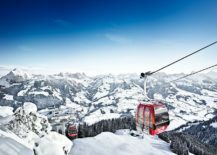 Surrounded by the splendor of the Austrian Alps and its inviting ski slopes, one can enjoy much more than just endless outdoor fun in the snow here. 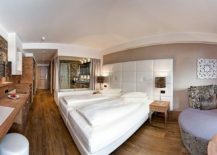 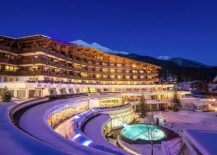 Apart from the 5-star luxury of the hotel, you are treated to a pampering spa experience, world-class cuisine and modern luxury wrapped in Tyrolean goodness. 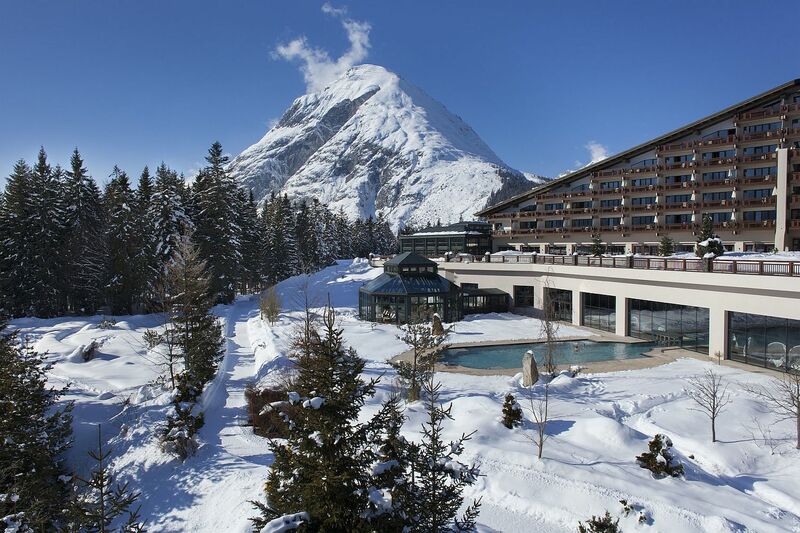 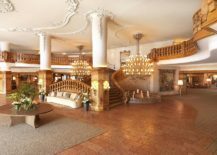 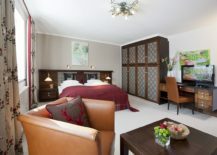 Another gem hidden a few minutes away from Seefeld is the elegant and chic Krumers Alpin Resort & Spa. 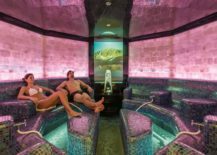 Apart from the plethora of outdoor activities that seem as appealing during winter as they do during the summer months, the 126 comfy rooms of the hotel, its aroma-infused steam room and sauna envelope you in a world of opulence. 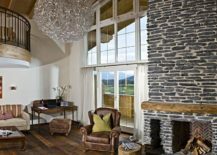 Its unique design and exceptional style make it even more appealing as one learns to appreciate local architecture and design at this Alpine retreat. 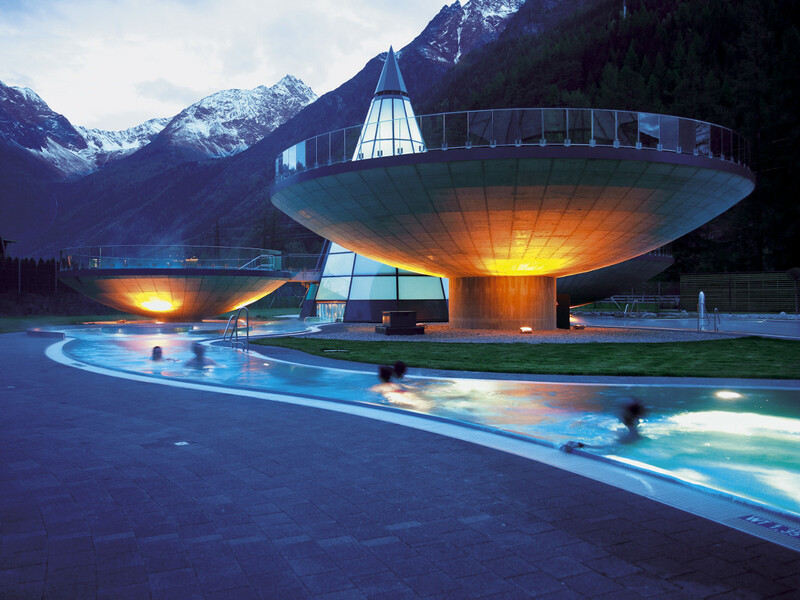 Overlooking the Ötztal Alps, the Aqua Dome in Längenfeld is unlike anything else you have ever witnessed. 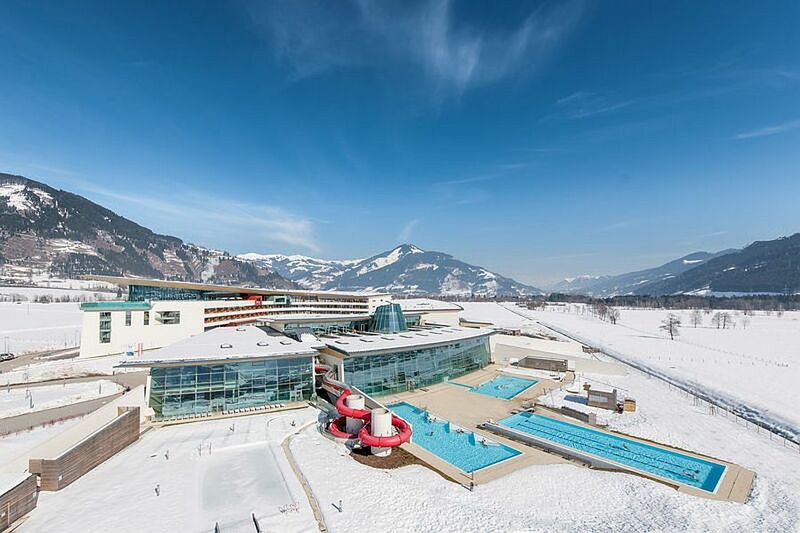 With giant bowl-shaped heated swimming pools sitting on towers and the only natural thermal spring in all of Western Austria, you have a getaway that everyone in the family can enjoy. 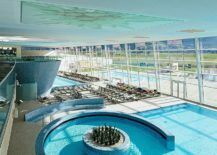 The waterpark next to the main spa center offers an additional opportunity for fun family time and with fun water slides and even amazing waterfalls; life at the Aqua Dome can be as exhilarating as it is relaxing. 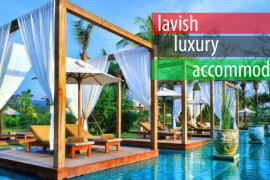 This is where your journey begins and you will attain levels of deep relaxation and extraordinary moments of absolute bliss. 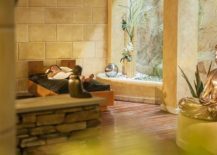 Discover just how good it feels to have mind, body and soul in total harmony. 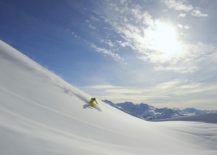 Reconnect with your Self. 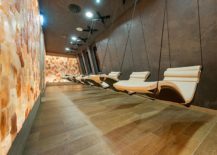 At TAUERN SPA you will regain your strength and replenish your energy, so you can fly high once again. 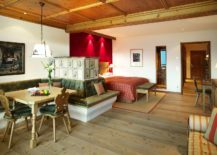 On first glance you would not really think of the Aurelio Hotel & Chalet in Lechas one of the newer luxury destinations in these parts of Austria. 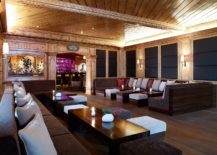 The exterior of the hotel has a certain classic aesthetic that is so distinctive of the best luxury retreats and iconic chalets in Lech. 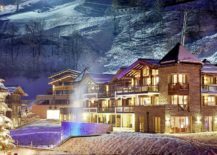 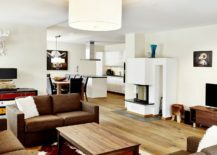 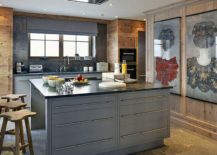 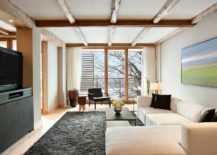 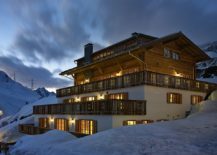 On the inside, it is the highest level of luxury that greets you even as some of the best and renowned ski lifts of Arlberg ski region add to the charisma of this dream destination in the Alps. 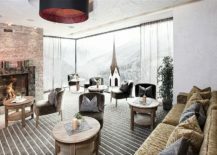 How would you like to enjoy the very best of Austrian Alps as you take in your brunch on a beautiful terrace that overlooks the best of Lech and the imposing mountains beyond? 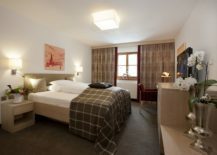 A stay at Der Berghof includes this and a whole lot more as you will start to appreciate the local traditions of Lech, its unique flavor, architectural style and of course Austria cuisine. 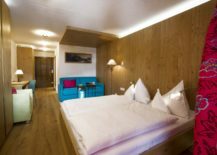 This luxury boutique hotel in Lech also offers ample privacy even while providing a great basecamp from which you can indulge in a variety of outdoor activities. 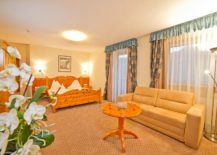 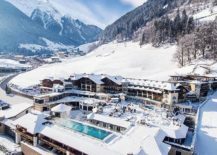 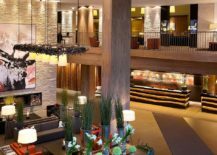 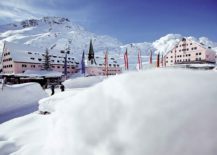 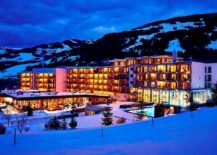 Another gem nestled in the heart of the Arlberg Ski Area, Hotel Goldener Berg is for those with a passion for skiing and all things fine in life! 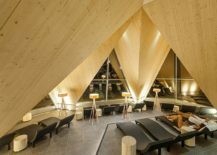 Contemporary décor and services perfectly contrast the more traditional exterior of this hotel and you will soon find yourself spending most of your day relaxing in its superlative spa. 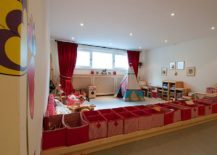 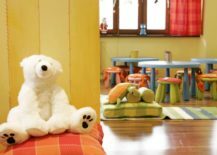 And for the worried parents, there is also great childcare service that puts your mind at ease as you enjoy Lech and its scenic landscape. 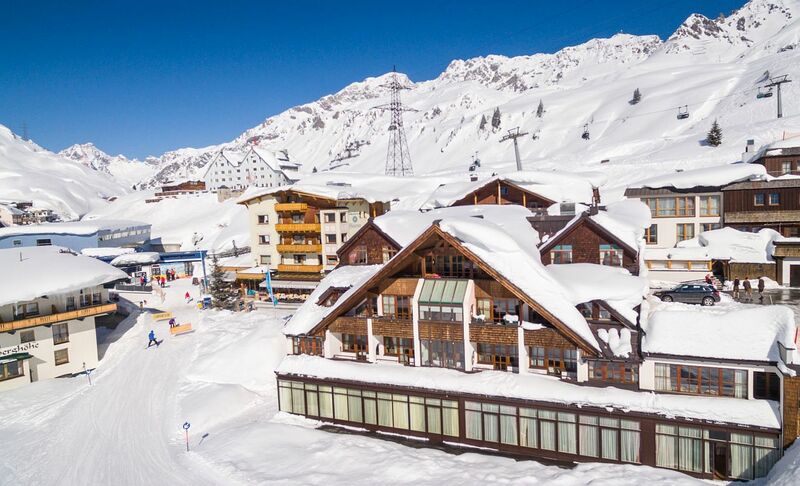 We will move on to more of classic chalets in the next section, but überHaus gets a mention here as it offers a luxurious gateway into the untamed landscape of Lech and beyond. 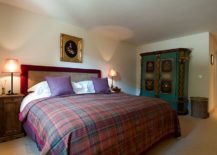 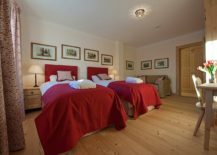 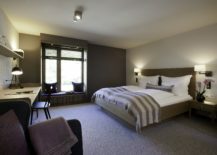 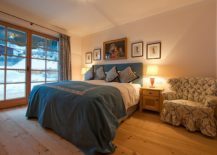 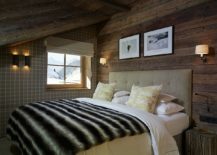 With 5 suite-style bedrooms that can host 10 guests with ease, the chalet is both traditional and modern at the same time. 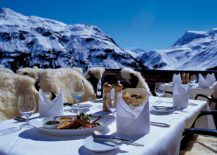 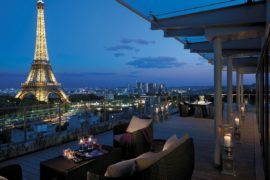 The brave can even enjoy al fresco dining and the outdoor lounge on the hotter days, but it is the ski slopes that draw you in during the winter months. 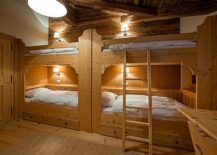 On the inside it is wood that reigns supreme as one finds themselves being transported back in time when simpler aesthetics and local Tyrolean architecture held sway. 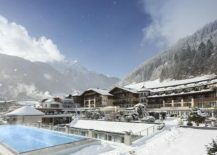 From world-class luxury hotels and mesmerizing aqua parks, we move into the idyllic region of St. Anton and take a look at some its most magical and luxurious chalets. If you love old world charm, classic chalet design and wish to delve into the intricacies of Tyrolean architecture, then this collection is set to bowl you over. 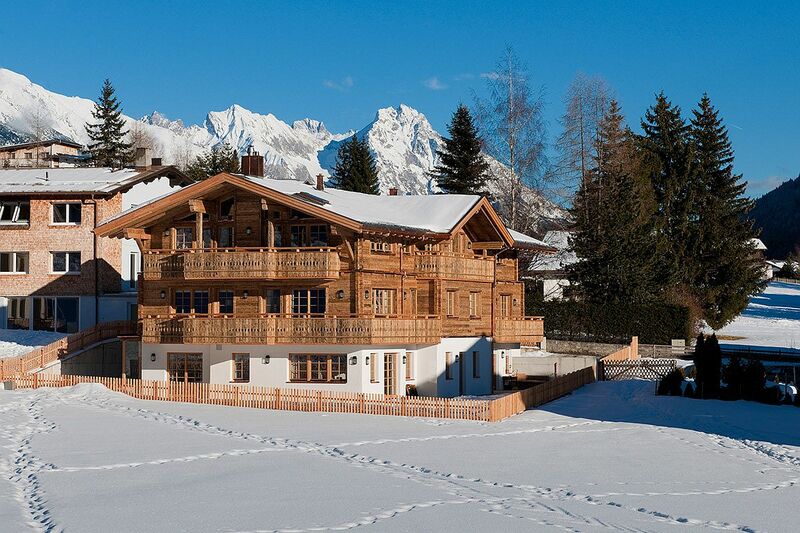 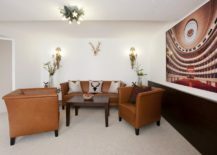 We start with the luxurious and expansive Chalet Austria that can house up to 29 guests with ease. 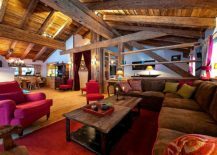 With 13 bedrooms, separate spaces for kids, bunk rooms, Tyrolean design, Alpine décor and cool 18th-century charm, this chalet is all about modern luxury set in a traditional setting. 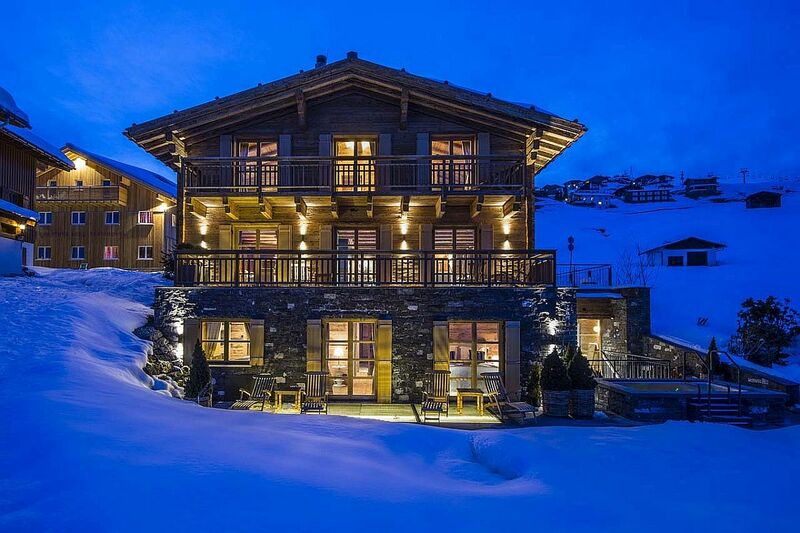 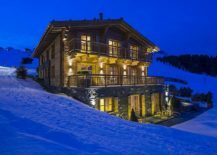 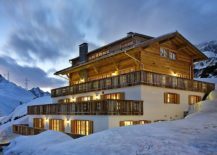 Looking for a chalet that is equally amazing and yet houses far fewer individual for a more private party? 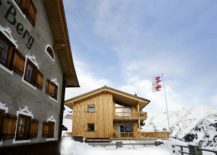 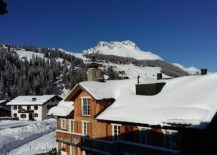 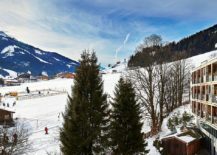 Maybe Chalet Maria Schnee is the one you are looking for! 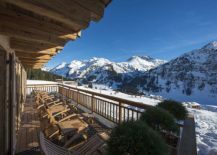 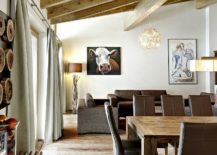 The three-level chalet offers ample luxury and you also have an access to some of the best ski slopes in all of Austria as you step outside its confines. 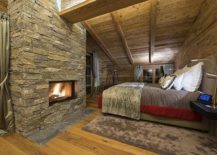 The 7 bedrooms of the chalet are spread across two different levels with a third dedicated to living spaces and public areas. 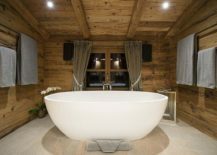 With its own sauna and an option that allows you to enjoy the benefits of fully catered service, you might never want to leave this majestic chalet! 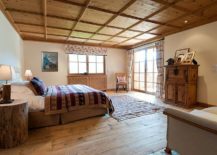 Looking for something even cozier and private? 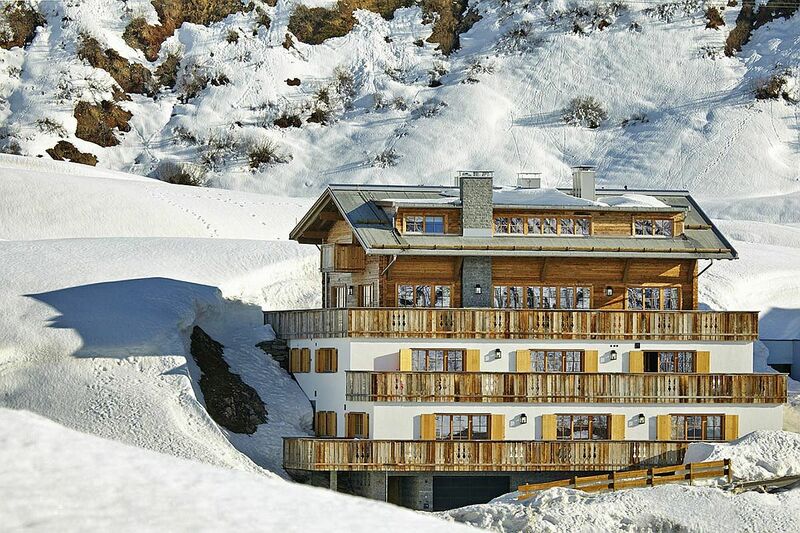 Welcome to the Skyfall Penthouse and the scenic views of the Alps and snow-clad slopes that it offers! 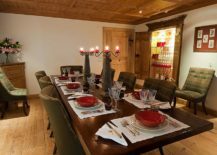 This five bedroom chalet can accommodate 11 guests with ease and is perfect for a family or a group of friends who wish to spend their dream vacation enjoying perfect ski slopes, a hint of Tyrolean elegance, cozy warmth of a luxury cabin and unparalleled luxury. 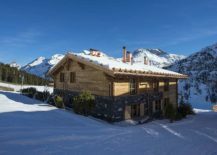 Chalet Alexandra looks as enchanting on the inside as it does on the outside as this cozy and private escape houses 6 guests with complete ease and ample opulence. 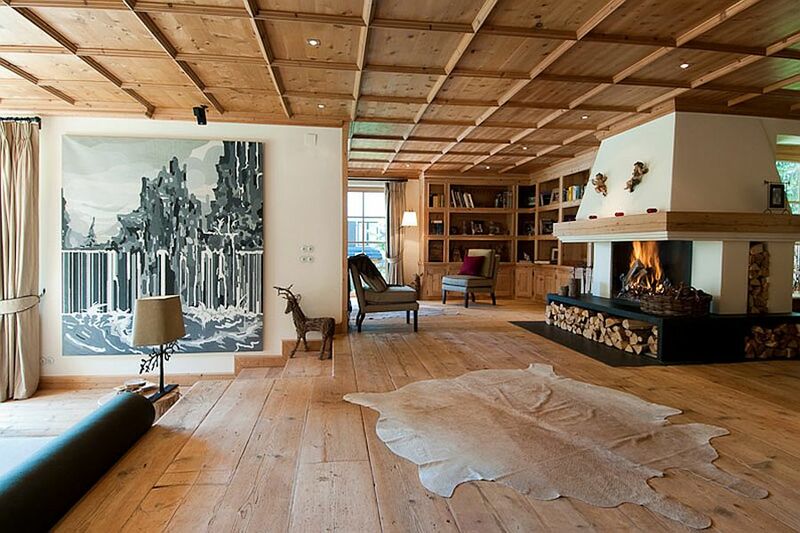 A mountainside retreat that blends modernity with traditional allure and a captivating ambiance, time simply melts away inside this Austrian luxury chalet. 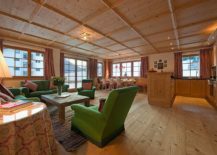 With 3 bedrooms and complete access to the best skiing facilities in the Austrian Alps you can either simply cuddle inside all day long or hit the powdery snow slopes for a change of pace without ever having to try too hard. 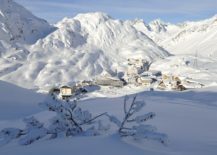 A World of Winter Wonder! 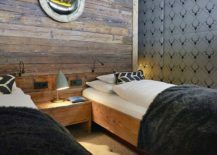 Combining beautiful and rustic Tyrolean elegance with contemporary luxury and an access to brilliant ski slopes, the Arlberg Hospiz Hotel never disappoints! 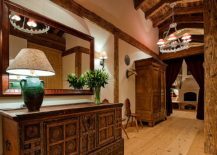 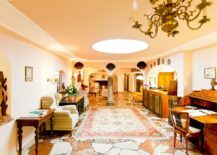 Each of the 87 rooms and suites at the hotel seems to have a style and grace of its own and you are soon left admiring the beauty of this Alpine retreat both on the inside and outside. 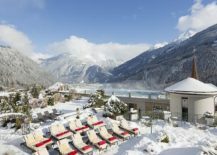 A selection of the best dishes from Austrian and international cuisine, a rejuvenating spa experience and just the idyllic landscape of Sankt Christoph will surely tempt you to visit again pretty soon. 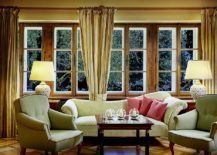 It is hard to imagine a more beautiful alpine getaway that the Thurnher’s Alpenhof. 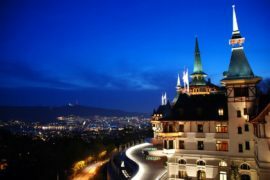 Do not be fooled by its more traditional silhouette though as this luxurious Austrian hotel is well and truly among the most luxurious on the planet. 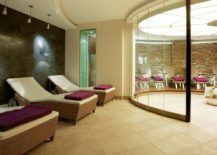 With an indoor pool that is always warm and cozy, a bio sauna, steam bath and an entire rejuvenating spa experience, few days spent here should get you through your daily routine till the next big break! 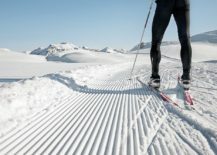 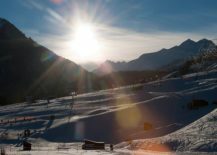 Add to all this a chance to improve your skiing skills with the help of a personal snowboard instructor and your holiday becomes even more appealing. 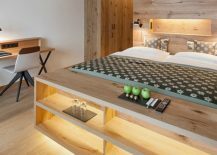 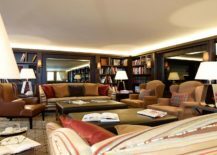 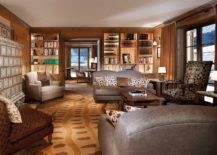 What this beautiful and inviting hotel lacks in sheer size, it more than makes up for in both astounding views of Kitzbühel and romantic magnetism of its intimate rooms and suites. 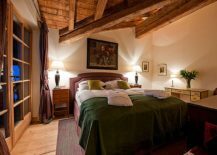 The Tennerhof Gourmet & Spa de Charme Hotel sits on an estate that dates all the way back to 1679 and within the confines of the hotel one can find both antiques and décor that reflect the rich tradition and uniqueness of the place. 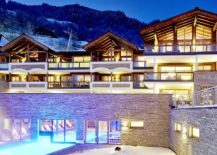 Modern luxury, indoor and outdoor pools and delectable cuisine enhance the gloss of this Austrian escape that is perfect for both honeymooners and adventurists alike! 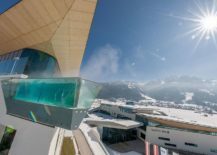 A complete family getaway in the Tyrol, the Stock Resort is much more than just another 5-star getaway in the heart of the imposing Austrian Alps. 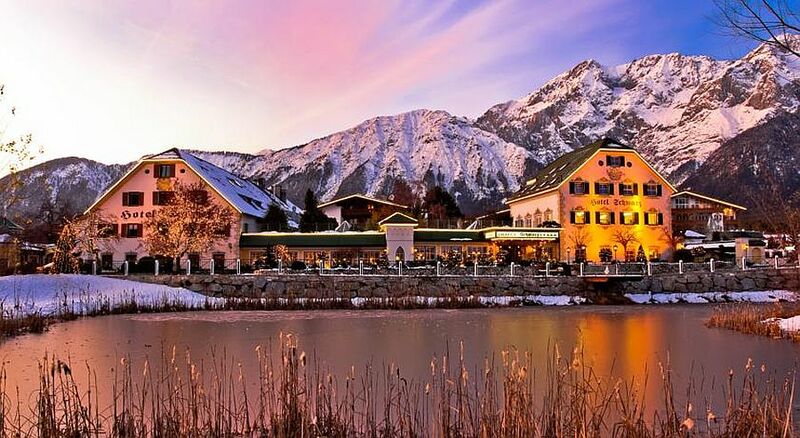 The grand retreat has something for everyone ranging from skiing and adventure sports to a selection of the best gourmet foods and secluded escapes – this is a holistic experience that everyone can enjoy! 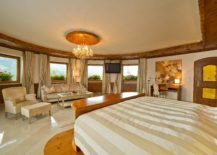 A series of 12 pools, a spacious spa, fitness center and suites and rooms with panoramic views and fabulous terraces make your stay here simply unforgettable. 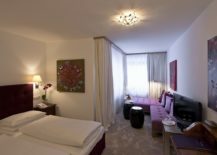 Sure there are plenty of great reasons to stay at The Kaiserhof. 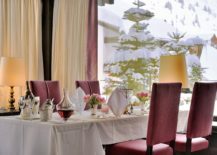 But one that is particularly special and unique come in the form of mouth-watering cuisine served up by Günter Lampert, chef of the house and Chef of the Year 2011. 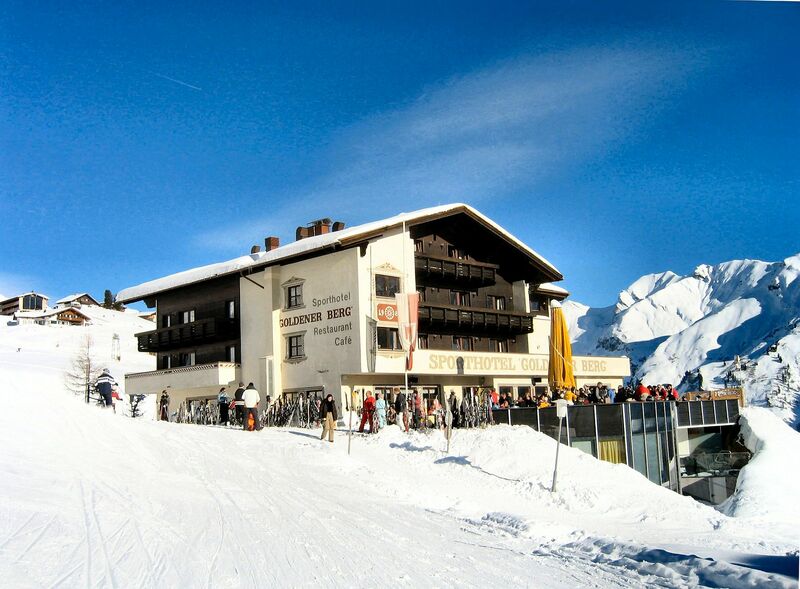 When you are in these parts of Austria, you simply do not want to miss out on a lunch or dinner at The Kaiserhof. 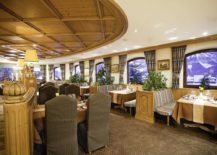 With that being said the rest of this refreshing and spectacular 5-star hotel in Tyrol lives up and at times surpass the standard of the food served! 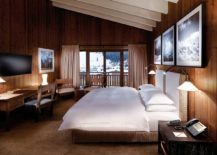 Luxurious rooms, an invigorating spa, Ayurveda treatments and marvelous ski slopes complete your lavish stay here. 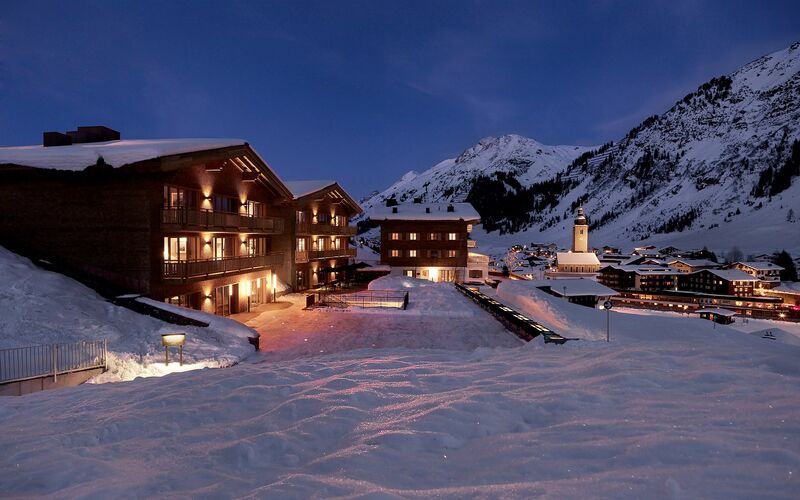 We finish our journey with the sparkling Wildkogel Resort – a place that feels like a world in itself! 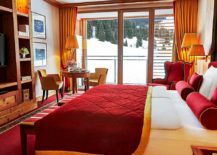 Spacious, secluded and complete with top-notch service and world-class facilities, this hotel in Bramberg promises to sweep its guests off their feet with sheer grandeur wrapped in Alpine beauty.